Create stunning nail art with this 6-piece brush set, specifically designed to effortlessly create flowers, petals, and leaves. 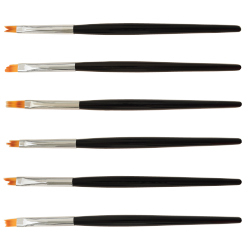 These multipurpose nail art tools feature high quality, smooth bristles that are hand cut for ultimate precision. 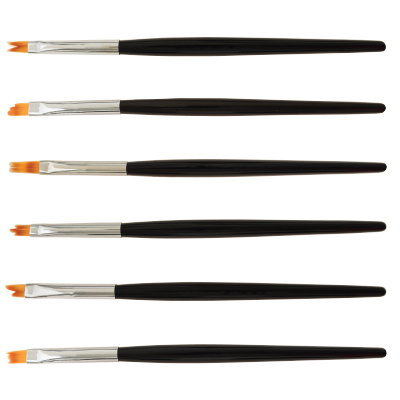 Each brush has a lightweight, black handle, chrome ferrule, and are packaged in a reusable case.